If you are looking for a new phone these Holidays, and Apple devices are on your wish list, this here deal on the Sprint and AT&T iPhone 5 and 4S should definitely catch your eye. Starting today, December 5th, you’d be able to get a lower price on Apple iPhones at brick and mortar RadioShack stores. How generous of apple. I commend them for being so considerate towards the consumer. You should know not to take all my posts seriously my good chum. It will make all our lives a tad more entertaining. You are incorrect. Apple defines the prices of their devices. 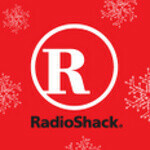 RadioShack is just offering their own discount and eating 20 bucks off the price. wish it was the Note 2! $50 off the 4S aint bad, but $20 off the 5? LMAO.